National Cycle Holdsters™ offer convenient up-front storage for your gloves, sunglasses, brush, garage door opener, tool case, etc. Holdsters allow easy access to so many things. 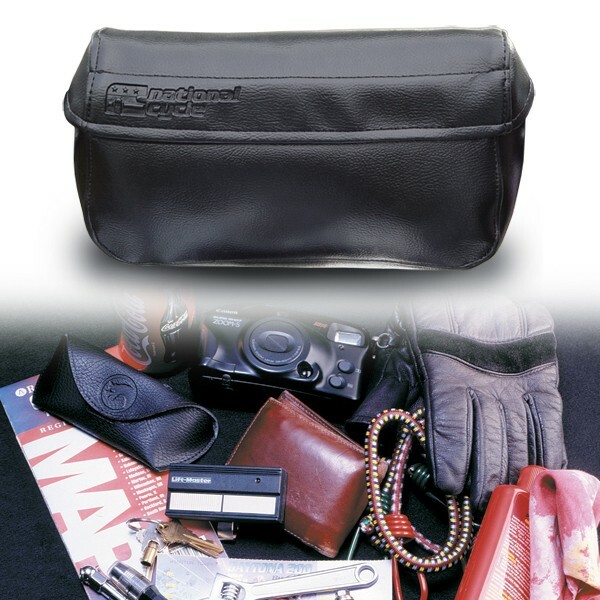 Unlike leather tool kits that tend to dry out and become stiff with use, our bags will stand the test of time. Holdsters that have been mounted to our test bikes for years still look as good as new.